Sorry for the lack of posts over the weekend, I have been away in sunny (not-so-sunny) Italy for the week without any wifi! 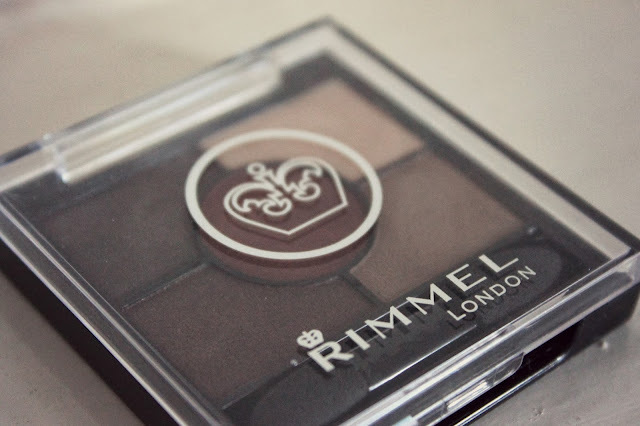 I thought I would introduce you to one of my favourite palettes. 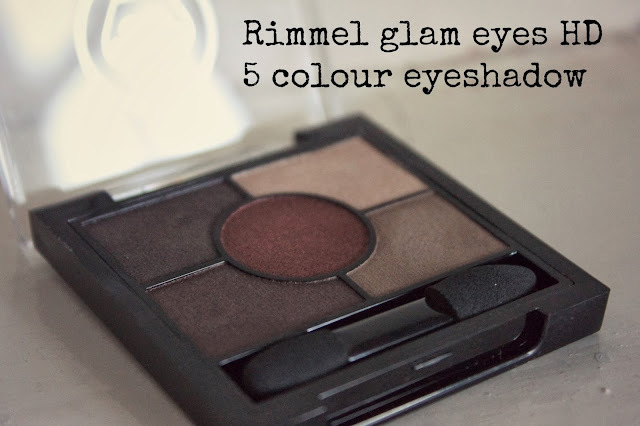 Say hello to the Rimmel glam eyes HD eyeshadow palette in 'brixton brown'. Back in October I had my eyes set on this quad and I treated myself to a pre-Christmas gift, that way I would have lots of time to wear these to Christmas parties and what-not. Correct! I have gotten so much use from this little palette which, may I mention, is very compact for the quantity of product. So, the low down on the shades. This palette has a range of easy to wear shades, one matte, two shimmers, and two semi-shimmers. The khaki green, matte shadow is the only one that hasn't been swatched as I find it to be awful! Although it feels buttery soft the pigmentation is very bad, once applied I can't even notice this. A major disappointment as the rest are lovely. 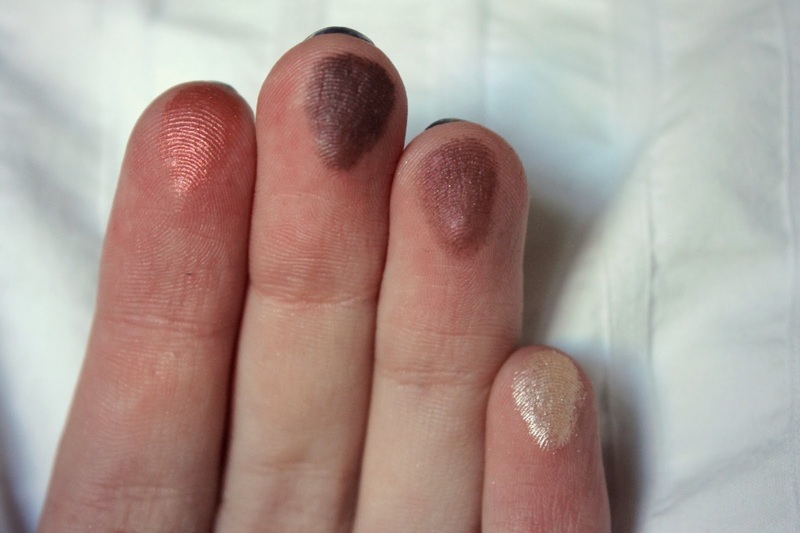 The two shimmery colours are the cranberry shade (center of palette, index finger) and the pearly highlight (top right, pinky finger). These are both shimmer at it's best, well pigmented and in stunning shades. The cranberry shade is a little harder to pull off as red-toned shades can make your eyes appear tired, but once blended in this looks lovely. The highlight is far easier to wear and does make a lovely highlight indeed! The semi-shimmers are the charcoal (top left, middle finger) and the brown (bottom left, ring finger) shades. Both make great everyday shades as they can be blended out to be more subtle. However for a night out, pile these on a bit more to make the colours amp up! Very nice! Overall, this little palette has a whole bunch of 'yes's' with one little 'no'. Great colours, great quality, small price to pay!